Majority of people are using Gmail for their business purposes and for their personal use as well. 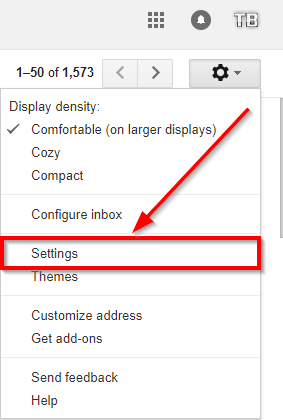 For using Gmail people have a lot of options which force them to use Gmail. The initial thing is that Gmail provides you free email service for personal use which you can use for business purposes as well in some limits, instead of using other free email service providers, Gmail is a product of Google which becomes another superior thing to use Gmail. Login and Open your Gmail account in which you want to unblock that person that you have blocked. Click on the Gear icon ⚙ from the top right corner. You’ll see a drop-down list, from that, choose Settings. Go to Filters and Blocked Addresses tab. Choose the email account from the row below, and click the Unblock button from the front of it. A popup will appear for confirmation, click on Unblock. And, you are done Unblocking that Gmail account. This is the easiest way to unblock a Gmail account. Make sure to know the correct steps to unblock Gmail account properly. Also, this method is applicable to the web version of Gmail. So, in order to unblock any account that you have blocked, open your Gmail account in the web version of it.